The Cone-rod dystrophy is a variant of the progressive retinal atrophy leading to degeneration of the retina. In contrast to rod-cone dystrophies, where rod cells are affected first and the following degeneration of the cone cells results in complete blindness of the dog, cone-rod dystrophies are characterised by the relatively early loss of cone photoreceptors. The first ophthalmoscopic signs may appear at the age of six month. 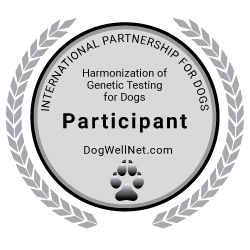 However, some genetically affected dogs never develop clinical symptoms during their life. The correlation between the known genetic variant and the symptoms of the disease is a matter of an ongoing scientific debate.